I called Concierge and informed them that my local dealer quoted me $250 to update my 2014 i3 to the latest system software that was released this month. They told me that some dealers are known to charge...and the person I spoke to sound a bit exasperated \ and embarrassed that some dealers are doing this. This is complete BS that dealers are still pulling these types of shenanigans. Charging for a software update to a car that is less than a year old is pure garbage. I blame BMW for letting their dealers act in this sleezy manner. Certainly not behavior expected from a premium brand. Outrageous, just outrageous. May I inquire, where do you live and what is the name of your dealer? I have found that the best solution for any i3 issue I might have is working with my dealership. Service is a very important consideration when deciding what and where to purchase. Therefore, good dealers should be showcased and bad ones exposed for their failure to provide the kind of service we expect from BMW. This Service Information bulletin supersedes SI B61 35 14 dated December 2014. They should learn from the best, Tesla. They give out free OTA updates all the time. I'm shocked these modern cars don't get the updates OTA. Then you don't need to deal with crappy dealerships. Thankfully mines been good. Thank you for bringing this to our attention. As we’ve become aware that some customers have been charged for the BMW i3 March software update, we want to ensure this particular update is performed free of charge at an authorized BMW i center. If you have been charged for the March update, please contact the BMW i Concierge team at 855-236-1025 Monday through Friday 9am to 9pm EST.. For more details about what the March software update includes, please visit: bit.ly/1EJoYEZ. Can any i3 get the March update (BEV and Rex)? My dealer (El Cajon, CA) said I was not getting an update since only recalls get update. I tried to explain but they were not cooperative on this one. Yes Ray, this update is available for all i3s, REx or BEV. If anyone was charged for this update, please contact your dealer and they will refund your money. Please speak to Matt Moore at El Cajon for service. Not sure who you spoke to, but the update is available for everyone. Also, the igenius is Brandon, and he will also be helpful with your update. 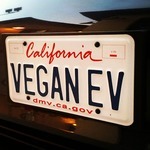 Just saw your avatar, i know that plate! Yes, speak with Brandon. Matt has been my SA from the Active E days, so he knows what is going on. If he isn't there, I will go to Scott Barstow or Daniel. I hate to say, but I hear horror stories from some of the dealerships I go to, but I don't have those issues. I usually find the SA that can work with me and stick with them. FYI, Scott was my SA at Carl Burger for my Jeep until he left to go to BMW. Good luck, I will be in there tomorrow to work with Brandon on the anniversary planning. Thanks for all the pointers and references, it will be very helpful in the future. I will see you at the anniversary celebration. Brought the car in this am, service advisor not familiar with the update, said "usually we only update software if its a recall , and my car had no recalls"
working in a dealership myself, I understand the issues well. I just went to Lieth BMW and was told because it was a service bulletin and not a recall and unless you complain about an issue with the last update that there is a charge associated with this update. NOT happy with the BMW brand at the moment.